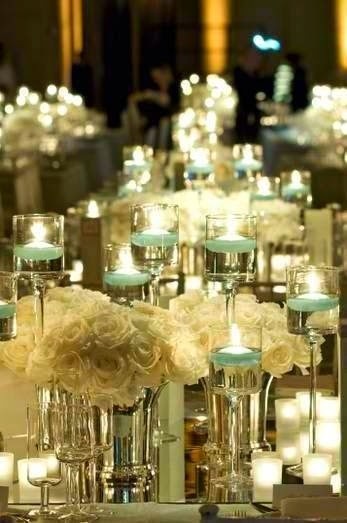 When it comes to decorating the tables at your reception, candles can make for an elegant alternative to large floral arrangements. 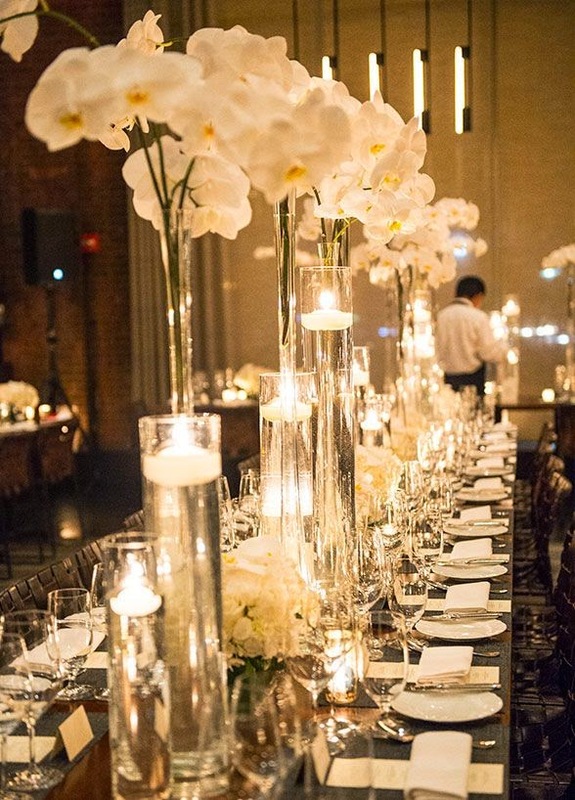 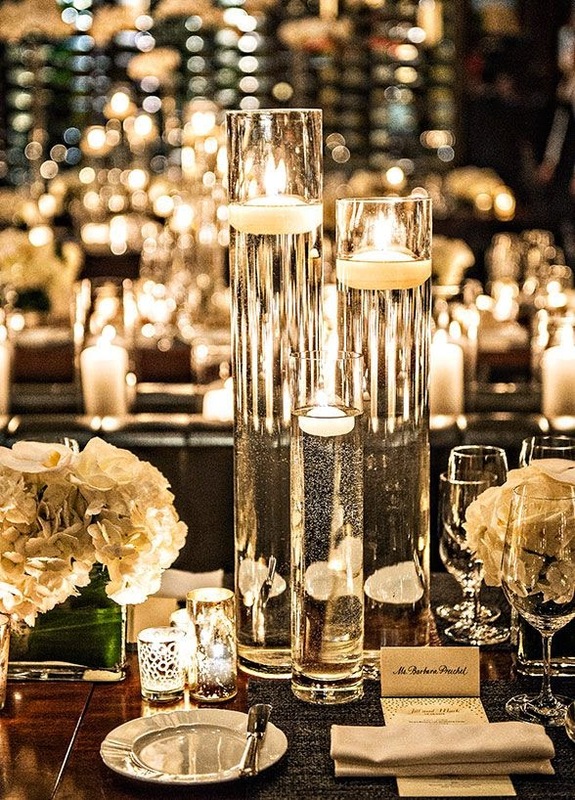 Centerpieces largely based on candles create a romantic atmosphere, with the flickering light definitely giving a more intimate feel to your reception space. 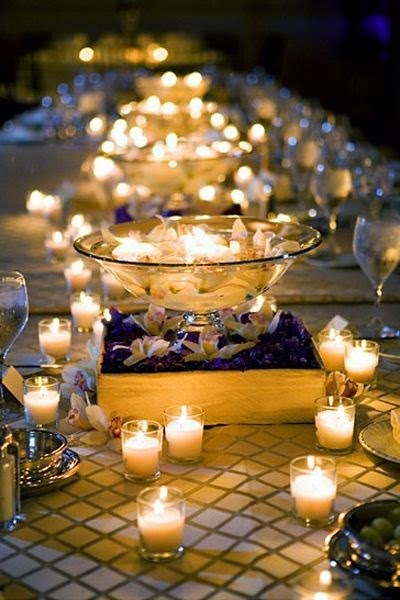 Candles add an undeniable level of sophistication to any table arrangement, be they large and plain or small hanging votives. 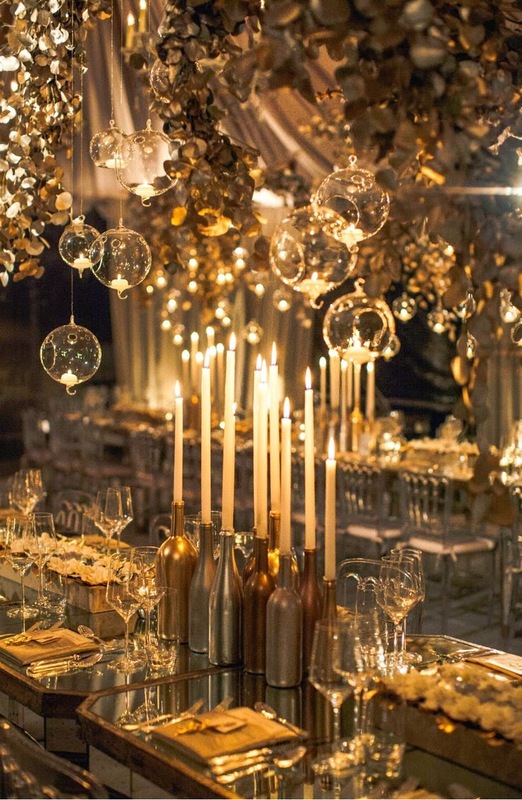 We love the use of varying heights of candles, paired with accented metallic candlesticks, which add to the warmth of the arrangement. 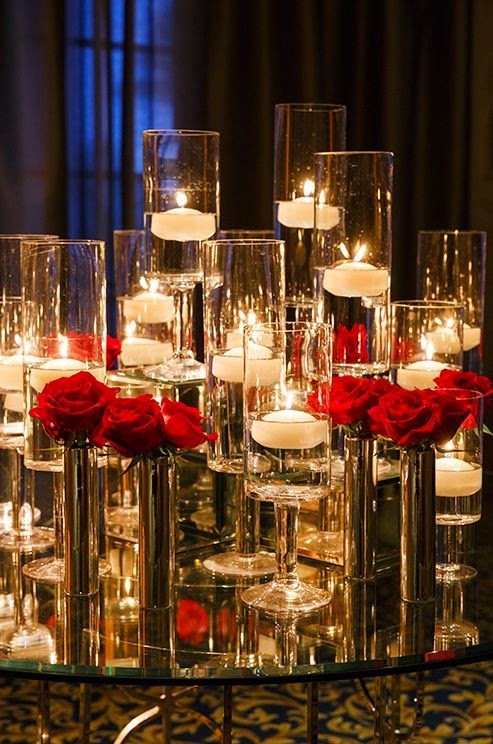 Or try filling various vases or goblets with water and adding some beautiful floating candles and maybe one or two floating flowers that tie in with the rest of your décor scheme.